There may be something fishy about Chinese salmon. Last week China’s state-run CCTV network aired a program that has caused a splash among the country’s growing number of seafood lovers. And it wasn’t even an expose. It was a puff piece praising the advanced technologies on display at Longyangxia Reservoir, China’s largest salmon fishery, according to CCTV, and the source of one third of the country’s salmon. But viewers were shocked when the hosts casually let slip that all this salmon wasn’t salmon at all, but rainbow trout born and raised in the plateaus of Qinghai province, in western China, a thousand miles from the ocean. The two species are closely related, with only subtle differences in their outward appearance. Their meat is easily discernible by fishermen or seafood aficionados, but not noticeable for most people. For Chinese consumers, however, this isn’t just a matter of taste: it’s yet another potential food safety concern. 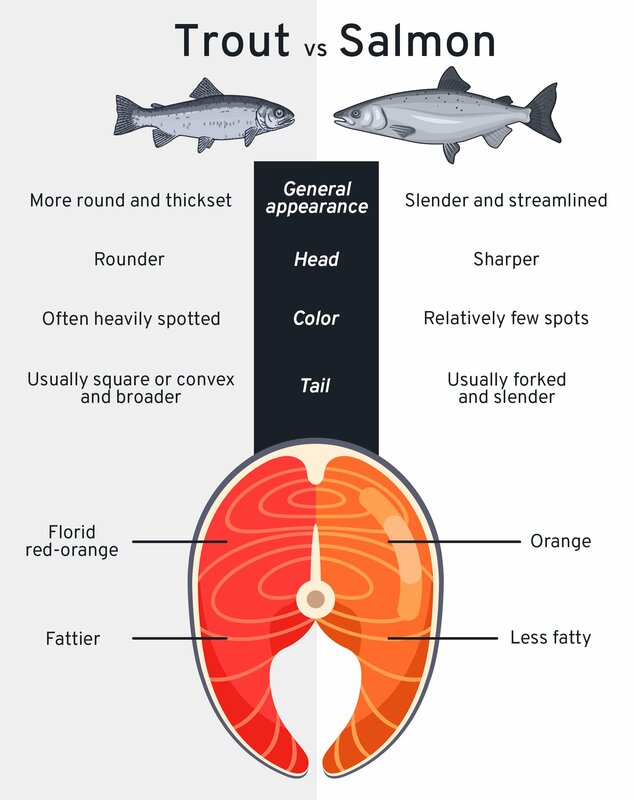 Whereas salmon spend nearly all of their lives in the sea, only swimming back upriver to spawn, rainbow trout live mostly or entirely in fresh water, where they are more susceptible to parasites and bacteria. Experts advise that rainbow trout should only be eaten after being cooked at a high temperature. Since so much farmed trout has been mislabeled as salmon, however, some may have been served raw as salmon sashimi (which is wildly popular in China), putting diners across the country at risk. “I ate some domestic salmon just before I saw the news, so I took some Albenza [medication for parasitic worm infections] to be safe,” wrote user Jingfen Yeguai on China’s Twitter-like Weibo under the trending hashtag #rainbowtroutisnotsalmon. Demand for seafood in China is soaring. Analysts at Rabobank estimate that demand for salmon in the country is rising by 25% a year. When one commenter complained that all this bad press threatened to put state-owned companies out of business and was “paving the way for imports of American salmon,” Gelaxiaoniu suggested they “wash the blood off the floor” by blaming the United States for the scandal. According to the Centers for Disease Control in Atlanta, parasites in fish can cause “abdominal pain, nausea, vomiting, abdominal distention, diarrhea, blood and mucus in stool, and mild fever,” as well as potentially lethal allergic reactions. In an attempt to quell the furor, the chairman of the China Aquatic Products Processing and Marketing Association, Cui He, went on the record to say that “salmon” products in the mainland market comprise all members of the salmonid family, just as products labeled as “tuna” could also include skipjack, bluefin, or bigeye tuna. Cui added that the salinity of the water was less important to the health of farmed fish than its temperature and flow. The words of experts like Cui will mean little to people wary of fraudulent products and underhanded marketing techniques. Food safety issues are a daily concern for China’s shoppers. In 2008, six babies died and 54,000 were hospitalized before it was revealed that formula milk powder from Sanlu Dairy was contaminated with melamine. Complaints about the company had started nearly 11 months earlier.